For almost 25 years, visual artist Portia Munson has been creating pieces for her series, The Pink Project. Indeed, her first Bay Area solo exhibit showing now at the Bedford Gallery, which is located on the first floor of the Lesher Center for the Arts in downtown Walnut Creek, contains a whole lot of pink. Baby pink, hot pink, cotton candy pink, pantone — all shades are present in Munson’s massive collection of found objects that both speak to our mass consumerism and the color’s symbolization of the feminine. 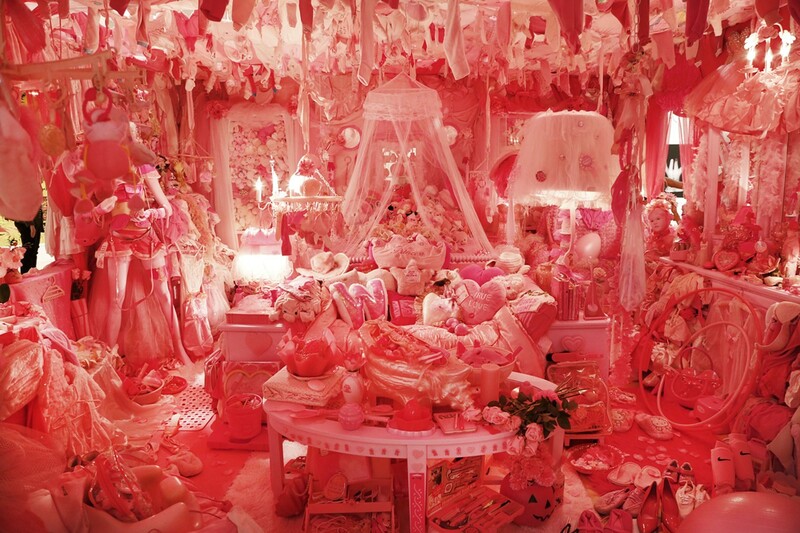 Her Room / Her World’s piece de resistance is Bedroom, a room-sized installation crammed with thousands of pink things — hula hoops, shoes, dolls, stuffed pigs, heart-shaped pillows, fake roses, heart-shaped picture frames, journals, lamps — marketed toward girls.